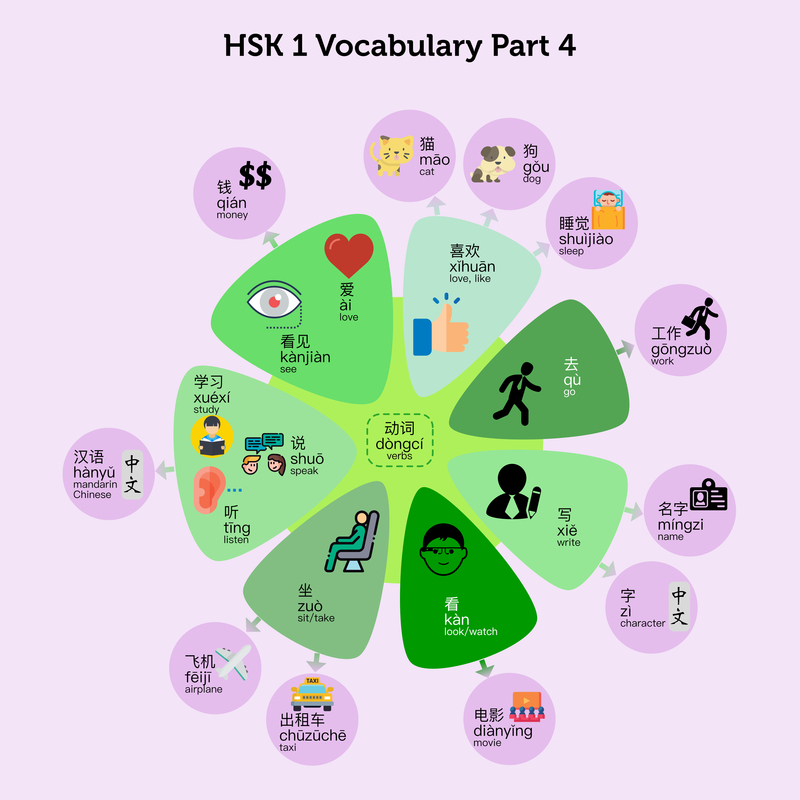 In this HSK 1 Vocabulary (Part 4) infographic, we’ve included 20+ HSK 1 vocabulary, organized in 2 groups. The first group is “verbs,” which include 喜欢 xǐhuān love/like, 去 qù go, 写 xiě write, 看 kàn look/watch, 坐 zuò sit/take, 听 tīng listen, 说 shuō speak, 学习 xuéxí study, 看见 kànjiàn see, and 爱 ài love. The second group is the “nouns” or “verbs” that can go after the verbs above. 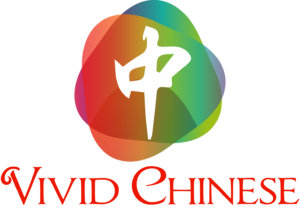 They are 猫 māo cat, 狗 gǒu dog, 睡觉 shuìjiào sleep, 工作 gōngzuò work, 名字 míngzi name, 字 zì character, 电影 diànyǐng movie, 出租车 chūzūchē taxi, 飞机 fēijī airplane, 汉语 hànyǔ mandarin Chinese and 钱 qián money.